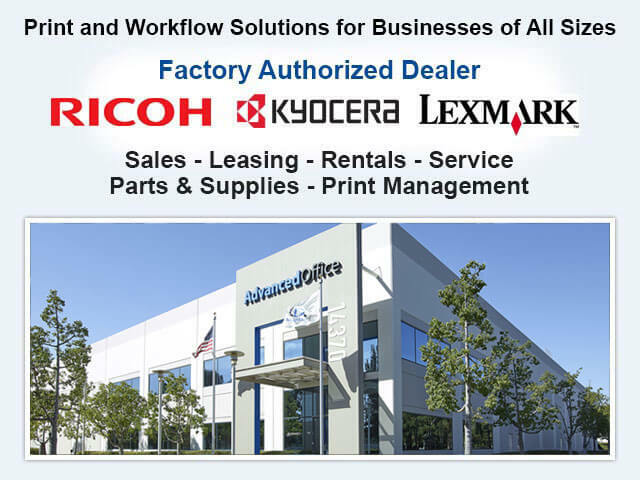 Advanced Office provides Newport Beach businesses with the best value in Ricoh and Lexmark multifunction copiers, printers, digital duplicators, fax machines, production printers, and wide-format printers. 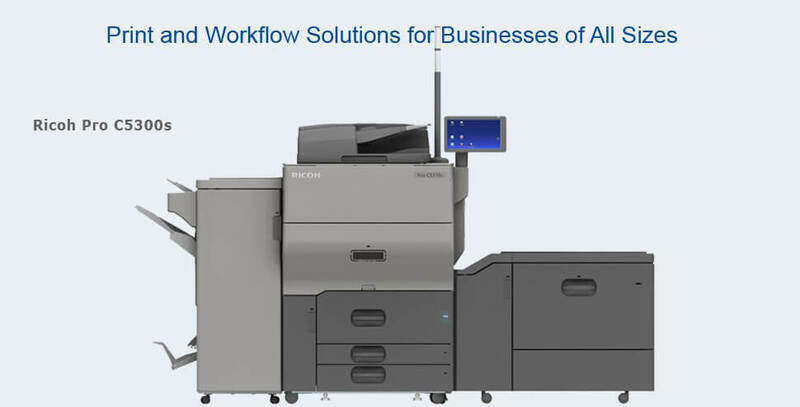 In addition to providing cost-competitive copier and printer sales, leases, and rentals, we also provide innovative workflow solutions and highly reliable printer and copier service and maintenance. We have more than 30 years of experience in office equipment and automation, and have served the needs of more than 30,000 Southern California businesses. Our longevity can be attributed to our value-added service, budget-friendly prices, and the strong, personal relationships we build with our clients. 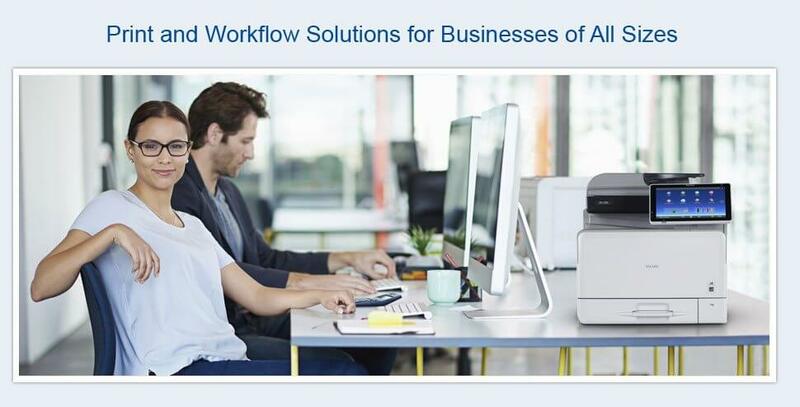 Advanced Office is Newport Beach's premier dealer for Ricoh and Lexmark, world-renowned copier and printer manufacturers that have set the gold standard for innovation, eco-friendly practices, high performance, durability, speed, and quality. At Advanced Office, we've used Ricoh and Lexmark's exceptional products as inspiration for the quality of customer care and services we offer. As a result, Advanced Office has reached Lexmark's highest level of dealership and is Ricoh's #1 dealer for the Western Region. Our customers stay with us year after year because we offer the best trained technicians, experienced workflow consultants, fast response times, results-driven staff, and personalized service--all for a great price. Call our experts today and schedule a complimentary, on-site workflow assessment of your Newport Beach business. At Advanced Office we aren't looking to just sell you an office copier or printer; we aim to help your business become more productive and more cost-efficient by determining the best office equipment and software for your needs. For every Newport Beach client, we conduct a thorough analysis of their workflow, office equipment, and printing, copying, document storage, security and scanning needs. We then present expert recommendations that you can trust have your best interests at heart. Call us today to schedule your workplace assessment in Newport Beach and learn more. Our friendly sales consultants will happily explain to you the full range of benefits of each of the above services. Scheduling a comprehensive, onsite analysis with one of our sales consultants will help you determine which Ricoh or Lexmark product will best meet your usage needs and budget. With over 30 years of printer and copier sales experience, we know we can provide the expertise and honest advice you are looking for. 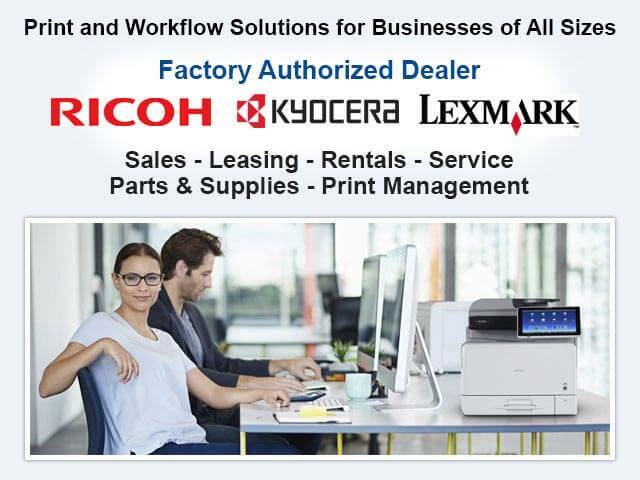 Additionally, because we are leading Ricoh and Lexmark dealers, we can also provide exclusive offers, products, and software direct from the manufacturers. Call today to learn more about our copier and printer sales and services. We offer Ricoh and Lexmark's complete line of commercial copiers and printers, as well as a variety of refurbished copiers and printers. Newport Beach businesses can expect their new machine to be competitively priced, delivered faster than our local competitors, and installed and connected to the network properly. Plus, one your new equipment is installed, we can send out our professional product trainers to visit your Newport Beach site to educate your staff on all of the features of your new equipment. Advanced Office has helped Newport Beach businesses obtain high-quality Ricoh and Lexmark machines for just a fraction of the sale price. For over 30 years, we have leased high-quality multifunction copiers, printers, wide-format printers, digital duplicators, production printers, and facsimile machines to businesses in and around Newport Beach. Leasing a printer or copier is often the most cost-effective solution for our clients' document management needs. Our copier and printer leasing options include fair market value and $1 buyout leases for three-year, four-year, and five-year terms. Our Newport Beach clients have the option to include custom software and comprehensive service and supply contracts within the lease agreement. To learn more, speak with one of our experienced product consultants. We also have in-house lease advisors to answer specific financial and accounting questions. 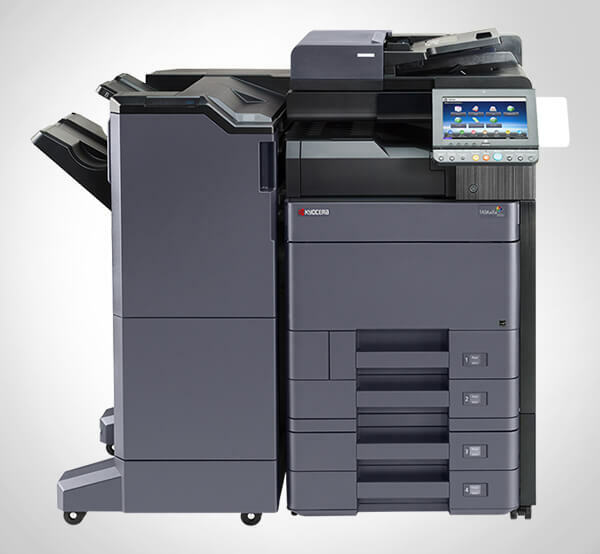 Advanced Office is your one-stop dealer for high-quality, multifunction printer and copier rentals in Newport Beach. Copier and printer rentals are often the perfect solution for Newport Beach start-ups, on-site construction, conventions, and other businesses that need a reliable machine that can copy, print, fax, and scan for a small amount of time. We rent a wide range of Ricoh and Lexmark products, depending upon availability, for terms ranging from one day to two years. Call today, our copier/printer consultants are standing by to educate you on the many rental options available through Advanced Office. 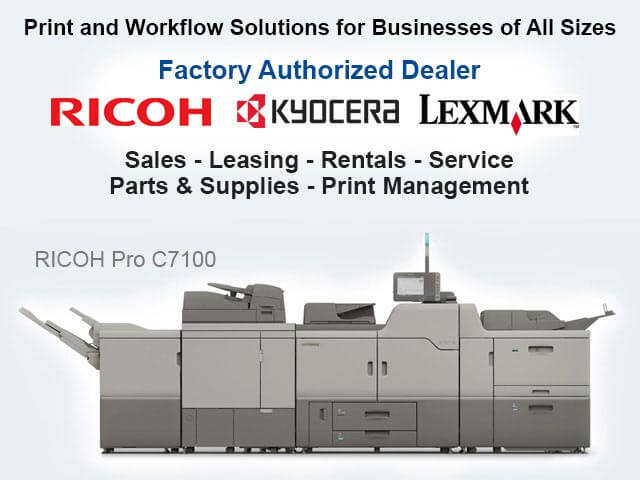 Ricoh is a globally recognized leader in quality, innovation, and reliability. They are currently the #1 market shareholder in the U.S. for office technology products and Ricoh's products account for nearly ¼ of all office technology products sold worldwide. It has also been honored many times over. Among its many awards, Ricoh has won numerous BLI awards for its high-quality products, the Deming Prize for outstanding commitment to quality twice, a listing among "Global 100 Most Sustainable Corporations," and a designation as one of the "World's Most Ethical Companies." Part of Ricoh's success comes from its commitment to impeccable standards, not only for its products and employees but for its authorized dealers as well. At Advanced Office, we're especially proud to be Ricoh's #1 dealer in the Western Region and 12th ranked dealer nationally. We excel because we focus on training, expertise, experience, and cost-effectiveness. Our sales team and technicians are all trained at Ricoh University and receive on-going education. We incentivize our employees to achieve perfect scores on their final tests to ensure that they have a complete and perfect understanding of Ricoh's products, software and repair techniques. We are also authorized to offer office equipment made by Savin, Lanier, and Gestetner (these are brands that belong to The Ricoh Group). Reach out to our friendly consultants today to discuss your print and workflow needs in Newport Beach. We'll schedule a free onsite consultation to determine workflow solutions that will help save you time and money. Lexmark products and software provide Newport Beach customers with specialized, industry-based solutions to improve efficiency and cost-effectiveness. Their cost-efficient, compact machines offer unparalleled speed, intuitive application-based interfaces,environmentally friendly green modes, and comprehensive security features. Because of the exceptional value inherent in every Lexmark machine, Lexmark has become the top choice among 75% of the world's top retailers, banks, and pharmacies. At Advanced Office, we are proud to offer Newport Beach businesses Lexmark's complete line of commercial B&W and color printers and multifunction copiers/devices. We're an Authorized Lexmark Business Solutions Dealer, which means that we have attained Lexmark's highest level of dealership. By working with a Lexmark Business Solutions Dealer, your Newport Beach company benefits from special pricing and access to exclusive models, software, and supplies. Call today to learn about Lexmark and to determine if Lexmark is right for your needs in Newport Beach. I wanted to send a quick note to thank you and your team for your support in implementing your services for our copier fleet...It was refreshing to see how the team took ownership . . .